Is Theresa May The Reincarnation Of Jesus? 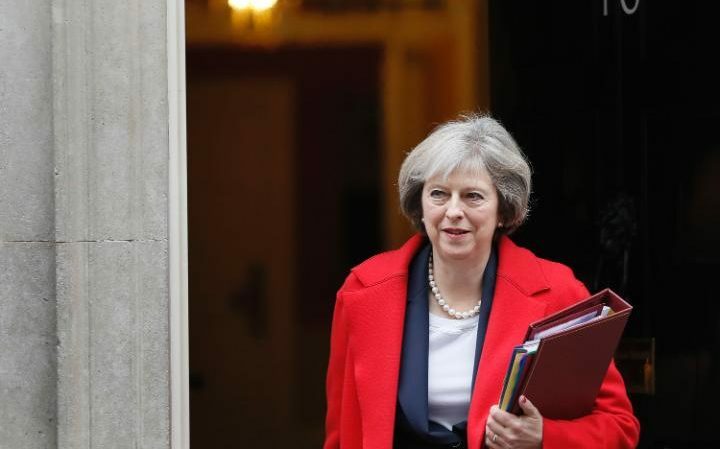 She was crucified for our Brexit sins by the dishonourable E.U bureaucrats, and now Theresa May has been resurrected to save us from holy Euro damnation. Well, that was the impression given after Theresa May was voted the party leader after most people thought best that she reminded them of Jesus Christ. This is according to a new poll, which found that almost 46% of people think the current British Prime Minster has traits similar to that of the Son of God. Yet despite having the beard and sandals to match, Jeremy Corbyn lagged behind with just 27% of people saying he resembled ol’ Jesus Christ. And, just a fifth of those who answered, said they saw Jesus in Lib Dem leader Tim Farron. Nearly 2,000 people took part in the survey, conducted by Premier Christian Radio. It also found that just over half of Christians are planning to vote Tory on June 8’s general election date. The research also asked participants whether they will pray before entering the polling booth and whether it matters if the Prime Minister is a Christian or not. So, here at Brainstain we dusted off our Bibles and got to thinking, is Theresa May really the reincarnation of Jesus? 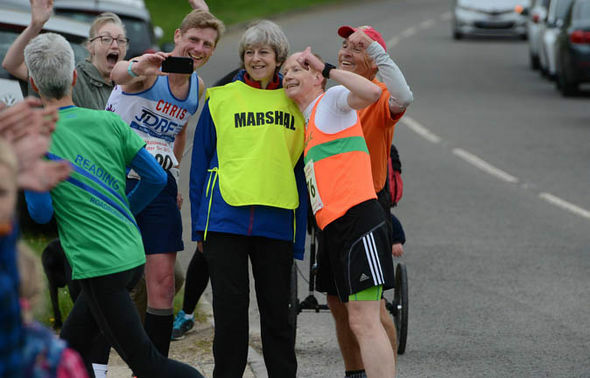 Well, we think that the photographic evidence provided below is sheer proof that our glorified conservative leader is in fact, the “Righteous One”. 1 – Bask in her holiness and “Strong and stable leadership” as the political Messiah spreads her loving light across the withered land of the UK. 2 – She will perform the necessary exorcism required to eradicate the corruption that is Jeremy Corbyn. 3 – She has the whole world on the tip of her finger. Thou who do not pledge themselves to her conservative crusade, shall be destroyed entirely. 4 – The conservative 2017 electron manifesto is the closest revaluation from God that this modern-day society has ever known. 5 – Her awestruck followers and believers are filled with astonishment and lost for words in open-mouthed unworthiness in the presence of their “Saviour”, as seen here below. 6 – Even in the face of evil itself, our supreme creator and ruler will always triumph and be the ultimate victorious one. Vote for her on the 8th of June, so she can once and for all break us from the unholy chains of Angela Merkel and help make the sacred and hallowed land of Britain, more blessed and revered as a result. So there you have it, solid and bona fide proof that Theresa May is the Deliverer and the Almighty One. Have you seen or ever been touched by the radiance of the Holy Servant that is Mrs May? Let us know in the comments section and remember, those who do not vote for the Prophet Theresa May on Judgement Day on the 8th of June, will face a Labour Government and eternal punishment in hell.